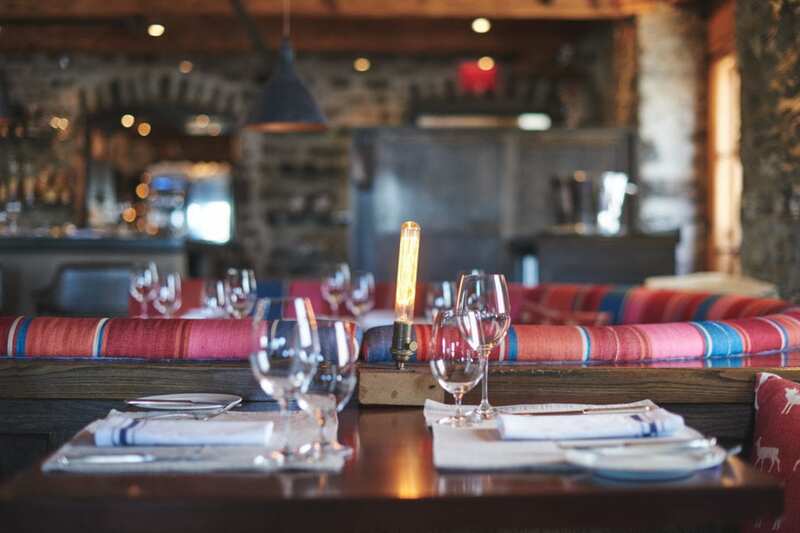 Are you looking for a true bistronomic experience at a Quebec restaurant? 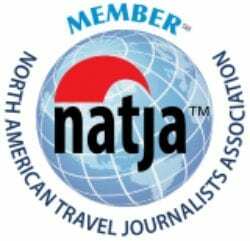 Quebec is known as the most Franco city in North America, and the French are known for the fabulous gastronomy. 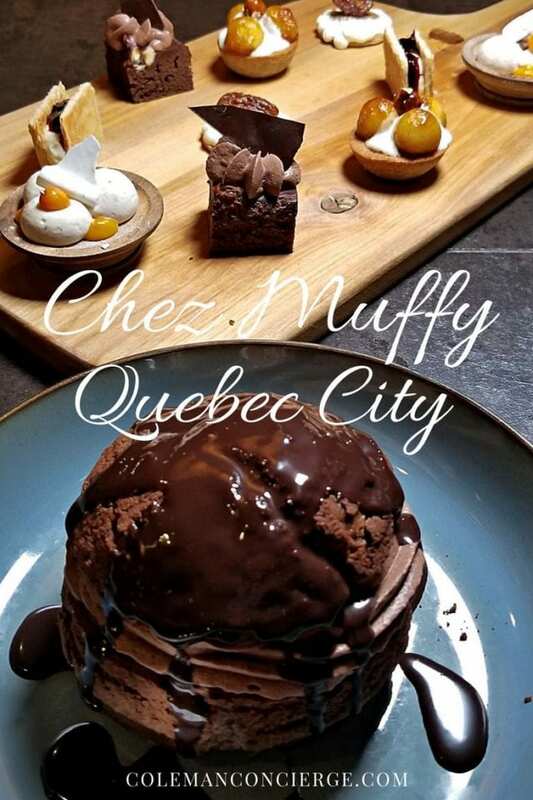 If you’re looking for an eclectic and memorable dining experience, try Chez Muffy. 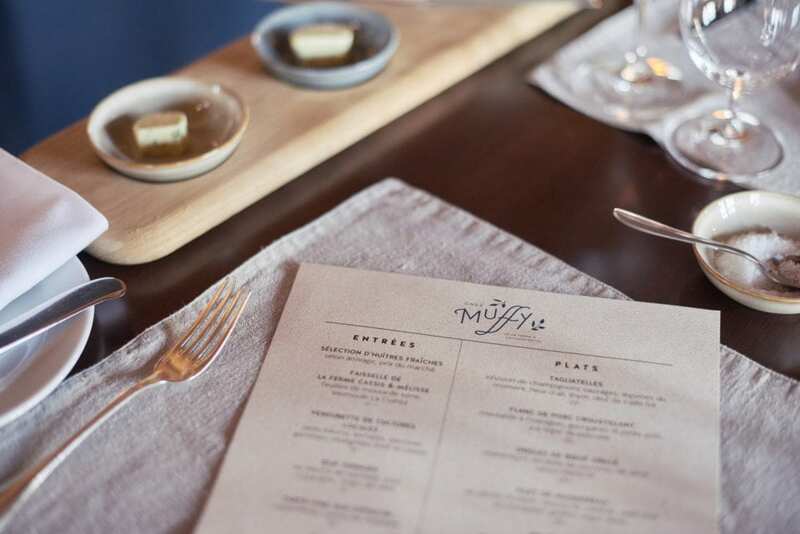 Chez Muffy is a French-Canadian, farmhouse-inspired restaurant where culinary expertise, an incredible wine program, warm service, and a historical setting mix together to form something delightful. It’s more than a satisfying meal. 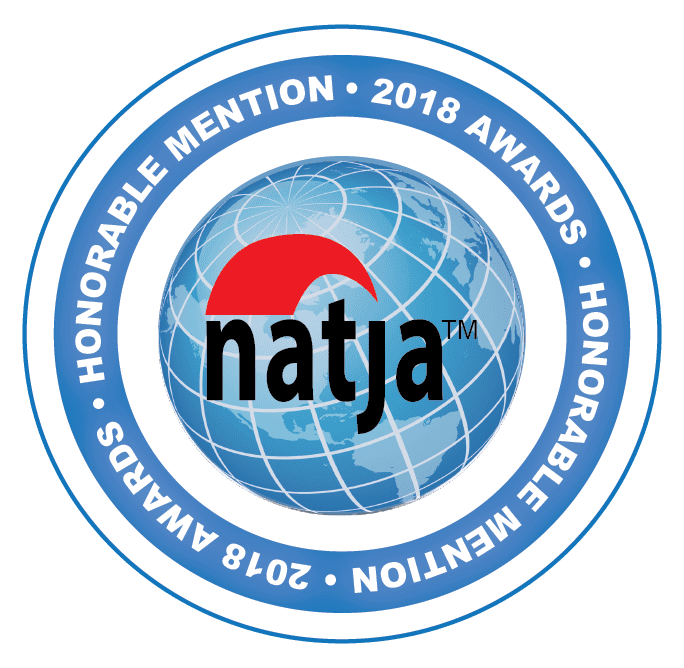 It’s an adventure in taste, history, culture, and everything that is beautiful about French-Canada. 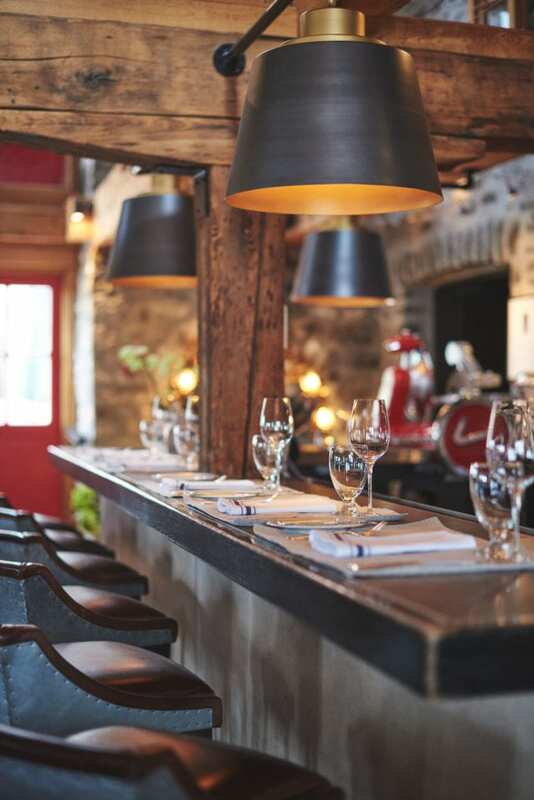 When I first walked into this Quebec restaurant, I felt like I was stepping back in time. 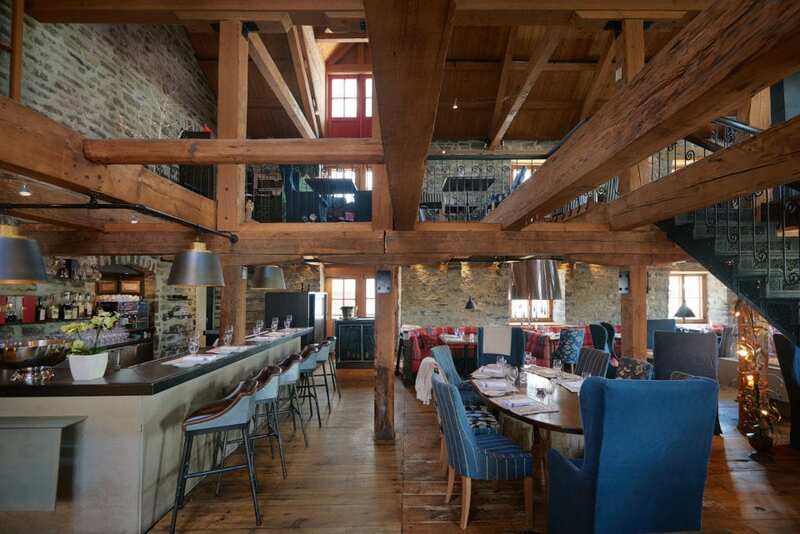 The building is a historic 1822 warehouse on the banks of the St Laurence River. The original stone walls surround the dining area, but the exposed wood and comfortable seating areas made it feel cozy and relaxed. I felt like I could gossip with friends for hours or simply kick back with a fine glass of wine. I heard the views of the St Lawrence River are astounding, but we came in at night and were more than content watching the fire dance in the central fireplace. I was seated right away and began a culinary adventure I will not soon forget. Wikipedia says a sommelier is a wine steward. A trained and knowledgeable wine professional who works in fine restaurants and also specializes in wine/food pairing. 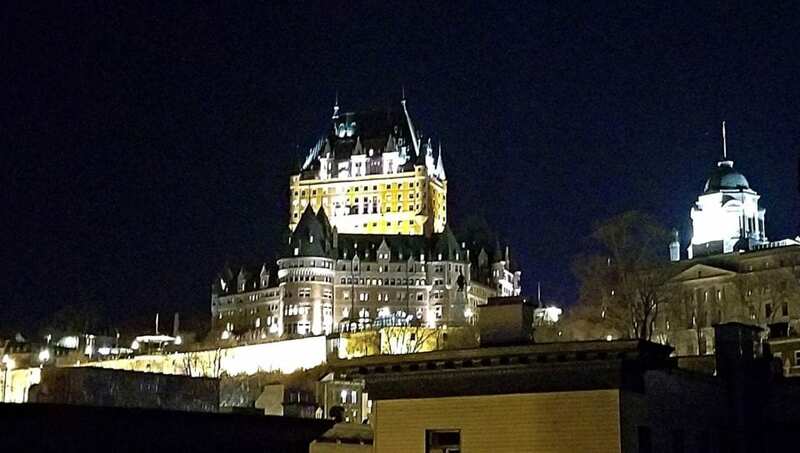 You might think since 95% of Quebec City speaks French, that sommelier is a French word. It is, but it’s also an English word, kind of like concierge. Who else but the French would consider wine paring a professional and studious endeavor? Chez Muffy has over 700 bottles of wine from 14 different countries. It is no wonder they have sommelier service available. 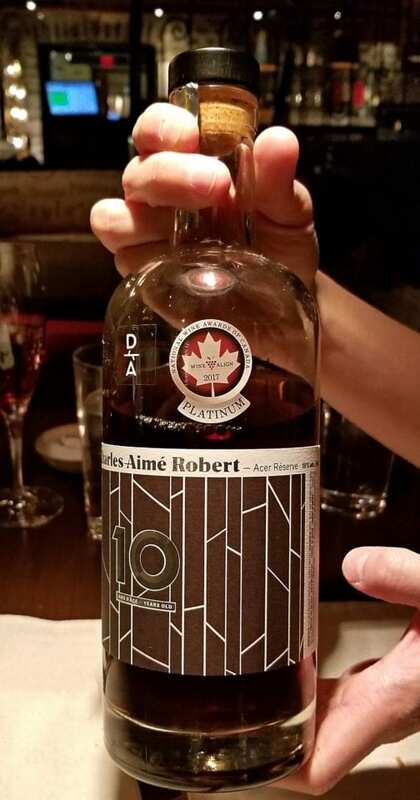 We were in Quebec and wanted to be authentically local. 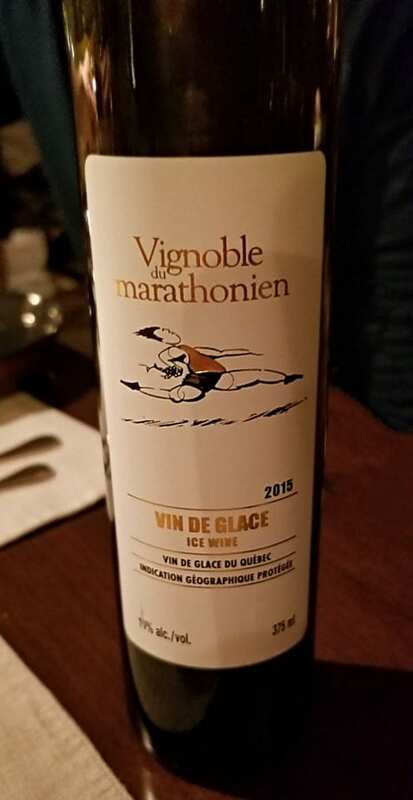 I selected Vignoble du Marathonien Vin du Glace – 2015. 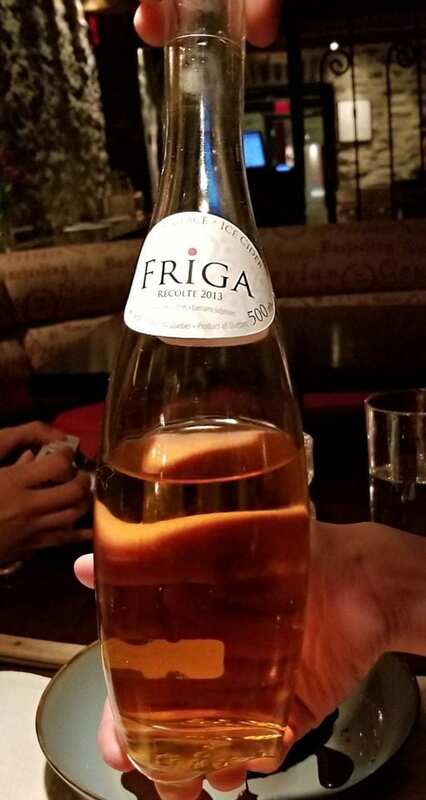 This ice wine was so crisp and refreshing with a beautiful taste start to finish. It was just a little sweet but still balanced. Throughout the evening, I also had iced cider and a maple whiskey. All of these drinks were amazing and paired perfectly with the flavors of the food. 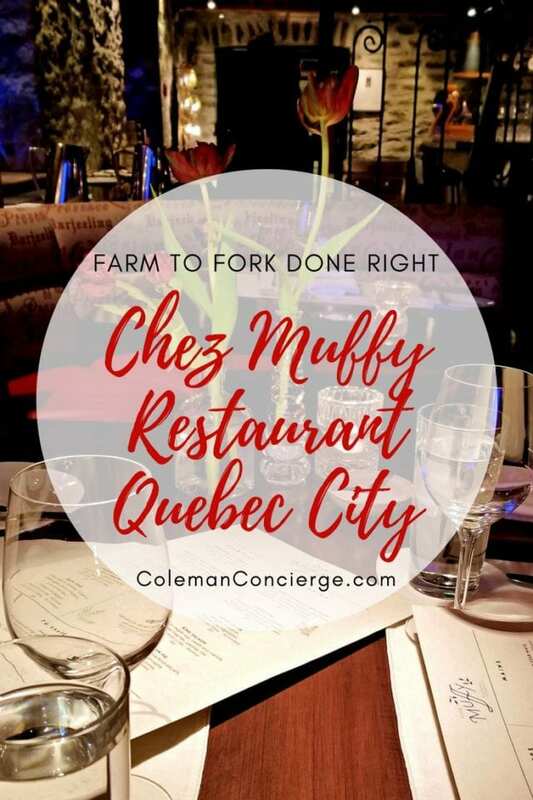 Not only does Chez Muffy serve a seasonal menu, it strives to serve locally sourced food whenever possible. When I learned that their scallops came straight from the St Laurence River, I had to try them. 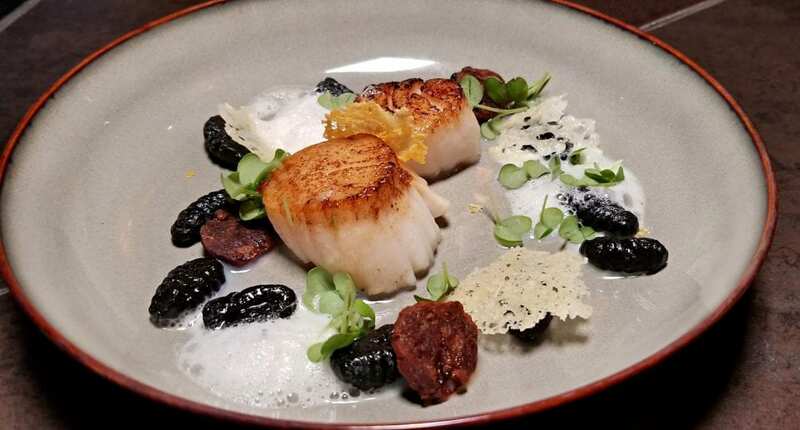 Giant Sea scallops are cultivated and shipped live to Quebec so they can be served perfectly fresh. My first bite was buttery and tasty, so juicy and flavorful. 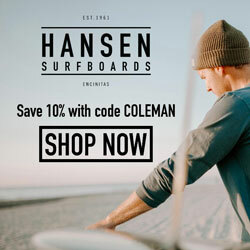 I could become a scallop lover if every scallop tasted that good. To be clear, I shared this meal with Cat and Kevin, the team behind Fortwoplz. There is no way that I could have eaten all of this alone. I am super appreciative of their company and the consumption so I could taste all of these flavors. At Cat and Kevin’s urging, I tried foie gras for the first time, and like everything I tried at Chez Muffy, it was delicious. 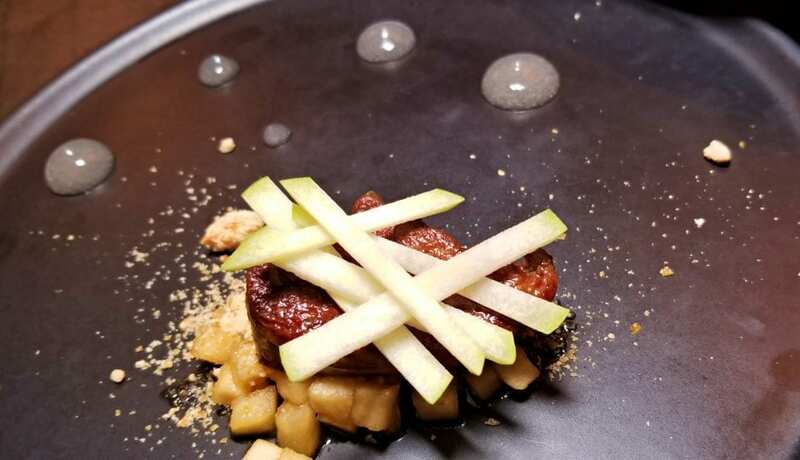 I never imagined myself liking foie gras, but the mix of flavors and smooth melt in your mouth texture really won me over. Another notable farm to fork feast were the green beans. 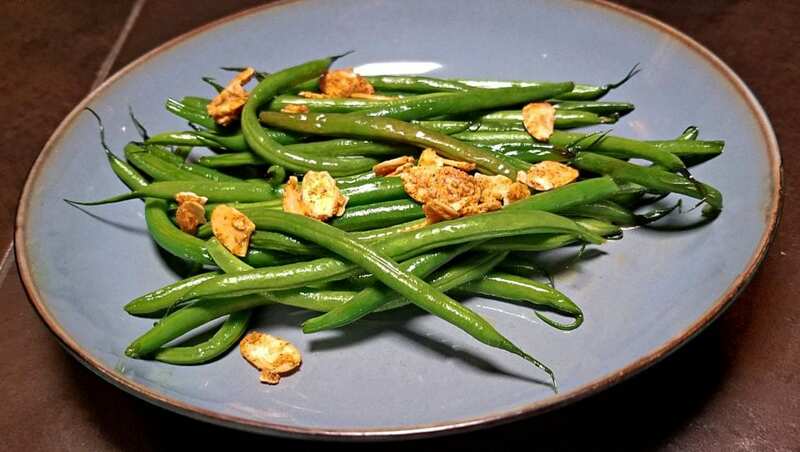 To be frank, I am not usually a green bean fan, but these guys were delicious. They were locally sourced from Chez Muffy’s farm on the l’île d’Orléans. They were crisp and flavorful with just a hint of sweetness from the maple syrup. I distinctly remember pressure cookers as a kid, and Instant Pots now are all the rage. I also remember my dad telling me patience was a virtue. The chefs at Chez Muffy must have the patience of a saint. I don’t know exactly how long they slow cook, but I can tell you the results. Every bite of meat I ate melted in my mouth. We shared the beef carpaccio, oxtail daube, and venison pie. 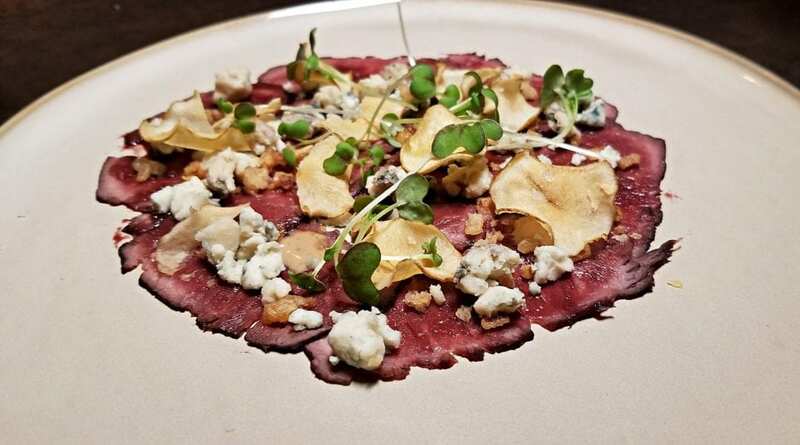 The carpaccio’s flavors featured creamy gorgonzola offset by slightly garlicky truffles. 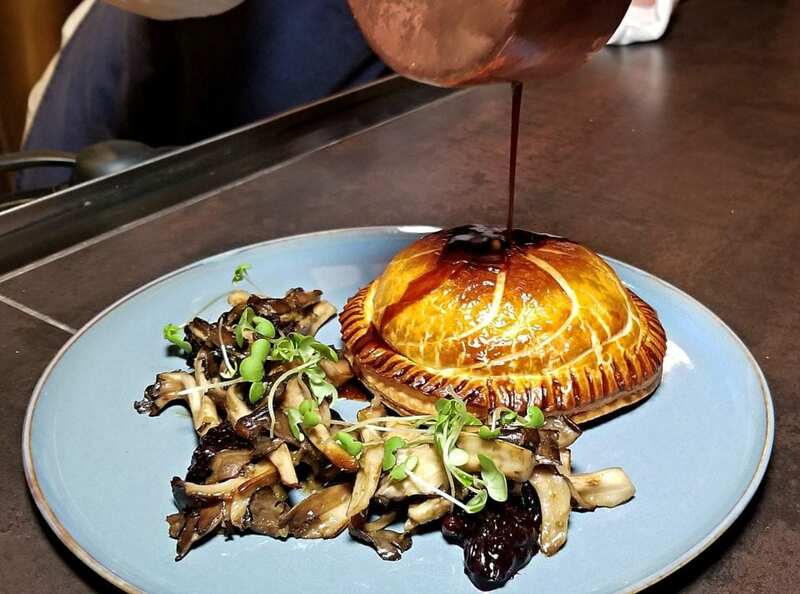 The daube was baked in puff pastry that was so light and flaky. Inside it was rich, hearty, and flavorful. The venison pie balanced the strength of the venison with the sweetness of spiced blackcurrant jam. 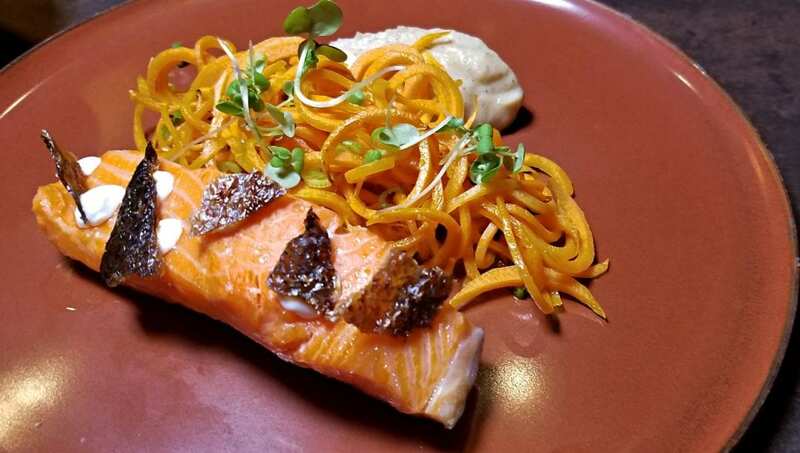 The tastes – c’est magnifique but the slow cooking texture stole the show. These meats were so tender they could be cut with a fork. Cat and Kevin additionally shared the king salmon which they raved about. I had to draw the line at fish, I absolutely do not like or eat fish. That said, if the salmon tasted half as good as it looked with that vivid pink tone, I am guessing it was exquisite. My guess was indeed confirmed by how quickly it disappeared from the plate. Have I mentioned how much I appreciated Cat and Kevin for helping me save room for dessert? I promised myself a good workout when I got back and got down to deserts. The dessert sampler seemed like a great way to taste a little of everything, I just couldn’t pass up the chou pastry. The sampler contained maple pecan pie, meringue bites, berry tarts, smores, and chocolate cake but the chou pastry stole my heart. It made all of my workout penance worthwhile. 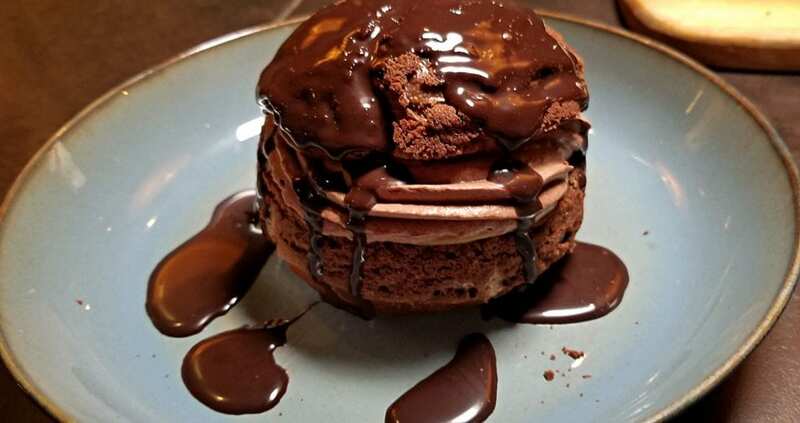 They started with light and fluffy pastry and finished with chocolate custard and Bailey’s ice cream. All my friends know that I am a sucker for any adult ice cream. 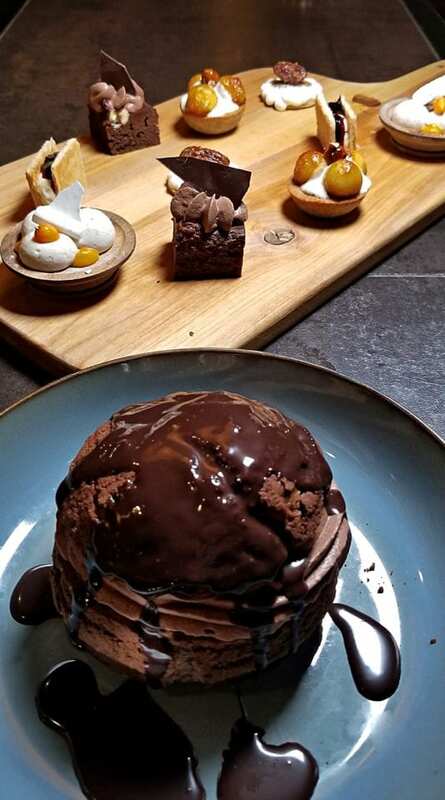 We savored every last morsel and comforted our sorrows that this beautiful meal was coming to an end with the fact that we couldn’t eat another bite. 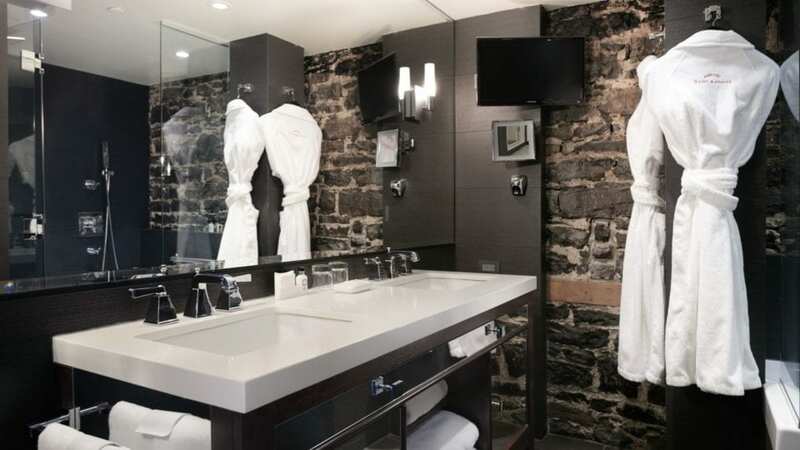 Chez Muffy is located in the Auberge Saint-Antoine, a top ranked hotel in Quebec City. 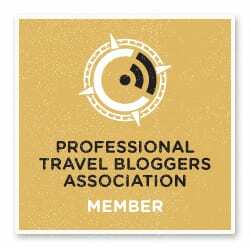 The hotel was happy to show a couple of travel bloggers around their property, and we were delighted to oblique. 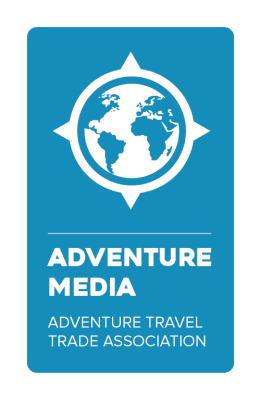 Although Auberge Saint-Antoine might be the kind of place that is used to press tours, I got the impression that they would try their best to please every guest. We saw artifact displays throughout the hotel depicting 400 years of Quebec history. 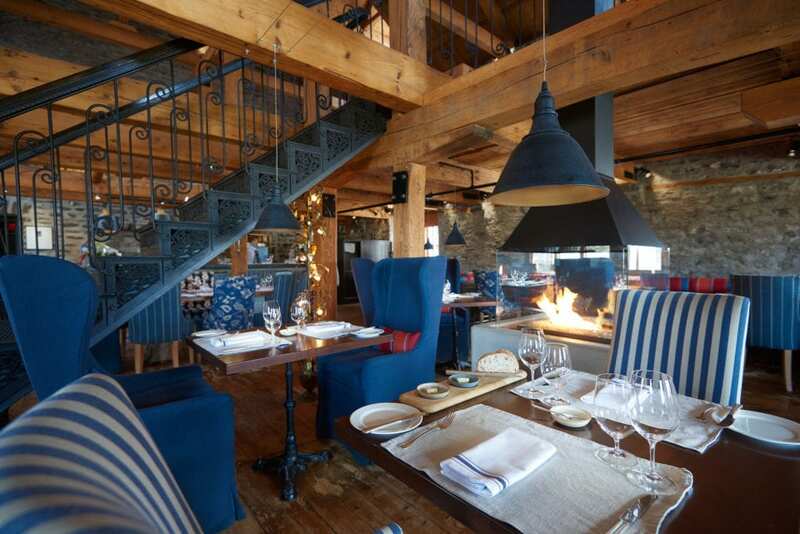 Auberge Saint-Antoine sits on three sites that were part of Quebec City’s old port: a wharf, a cannon battery, and a thriving Brittish port. 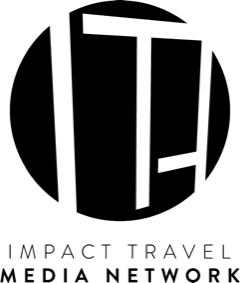 During hotel construction, an archeological dig took place, and these artifacts are located throughout the hotel to pay homage to site’s rich history. 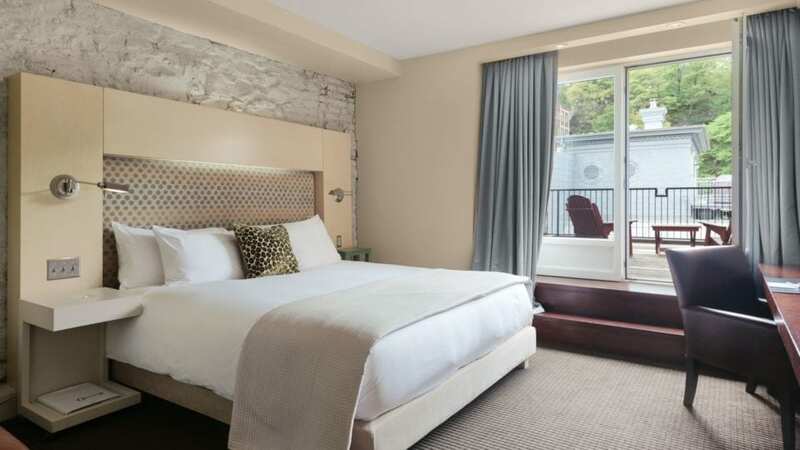 What makes me dream of going back to Auberge Saint-Antoine was how they blended the history of Old Quebec with modern amenities and coziness. Heated floors, comfortable beds, well-equipt gym, and amazing views are just some of what we saw on our tour. 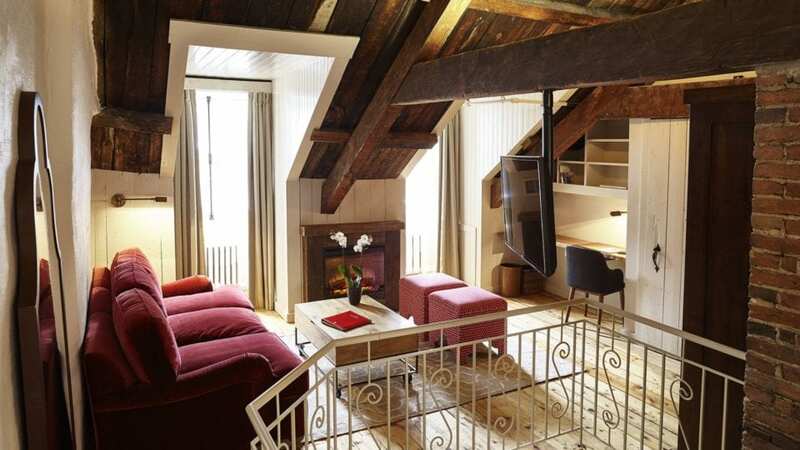 Auberge Saint-Antoine looks like a beautiful place to headquarter a romantic getaway to Quebec. In our perfect romantic dream trip back to Quebec, we would wake up after a comfortable deep sleep, snuggling on a Sunday morning. We would then head downstairs to experience Sunday Brunch at Chez Muffy, which we have heard is really something to write home about. 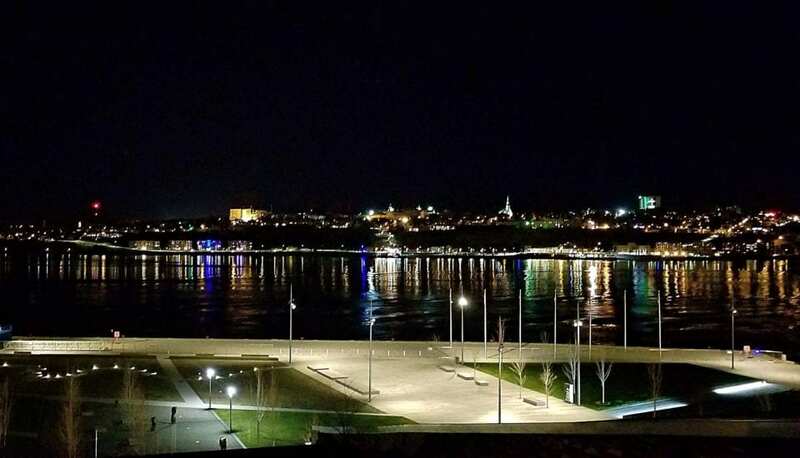 As our tour came to an end, we delighted in the views of the Château Frontenac Castle sparkling against the night sky on one side, and the lights of Quebec shimmering on the St. Lawrence River on the other side. It was indeed something from a fairy tale. 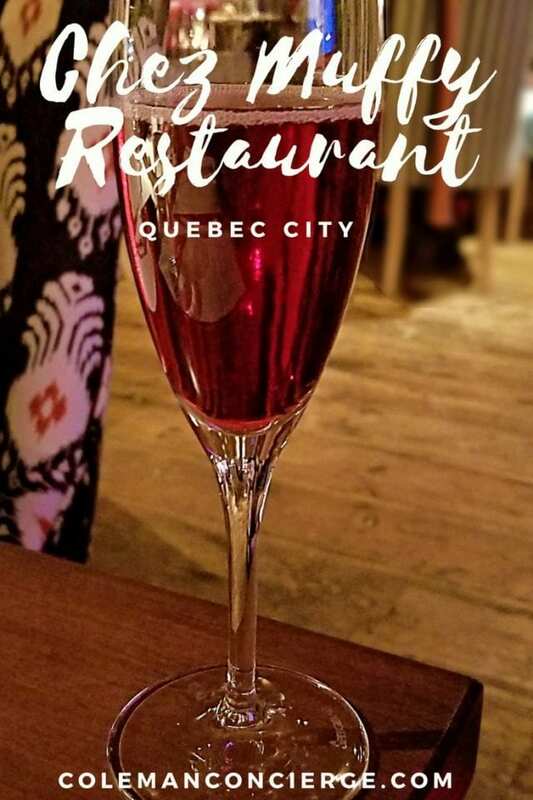 During our culinary tour of Quebec, we had an opportunity to try many amazing restaurants. I can honestly say that trip would not have been complete without an evening at Chez Muffy. 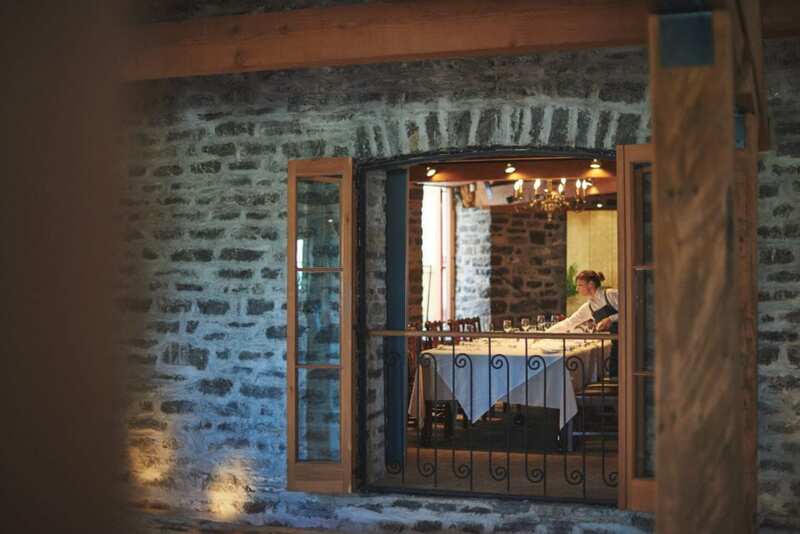 The flavors and textures were beautiful in their own right, but they also gave us real insight into the Quebec region. 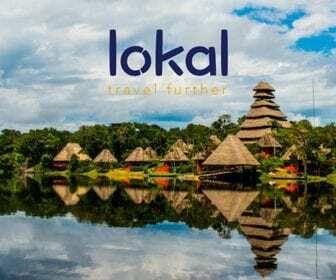 We left with our appetite for both knowledge and experience more than satiated. Disclosure: A big thank you to Chez Muffy for hosting me for this fantastic meal! As always, the views and opinions expressed are entirely my own, regardless of who is picking up the tab.